OK, last chance to put the finishing touches on your NCAA Tournament bracket, and then what? Well, four straight days of wall-to-wall college basketball. But how about a few prop bets to spice things up a little? OK, last chance to put the finishing touches on [your NCAA Tournament bracket](https://www.betchicago.com/ncaa-tournament-2019-betting-yale-lsu-total-thursday), and then what? Well, four straight days of wall-to-wall college basketball. But how about [a few prop bets](https://www.betchicago.com/notable-2019-ncaa-tournament-prop-bets-consider) to spice things up a little? Let's hit my five favorites before I give my Final Four picks for Minneapolis. __MORE:__ [Our complete NCAA Tournament coverage](https://www.betchicago.com/ncaa-basketball-betting) ## NCAA Tournament props *Odds from Westgate SuperBook __Will an ACC team win the tournament? No +125__ Think of it this way, if you put $300 on this and $100 on the ACC's three No. 1 seeds (Duke, +225; Virginia, 5/1; North Carolina; 7/1), the only way you come out a loser is if the Blue Devils win the title, or one of the lesser ACC teams -- Florida State, Virginia Tech, Louisville, Syracuse -- make an improbable run. Yes, Duke is the favorite for a reason, but how often does the favorite actually win the whole thing? (You'll see my hyprocrisy later in this post.) __Will LSU make the Sweet 16? 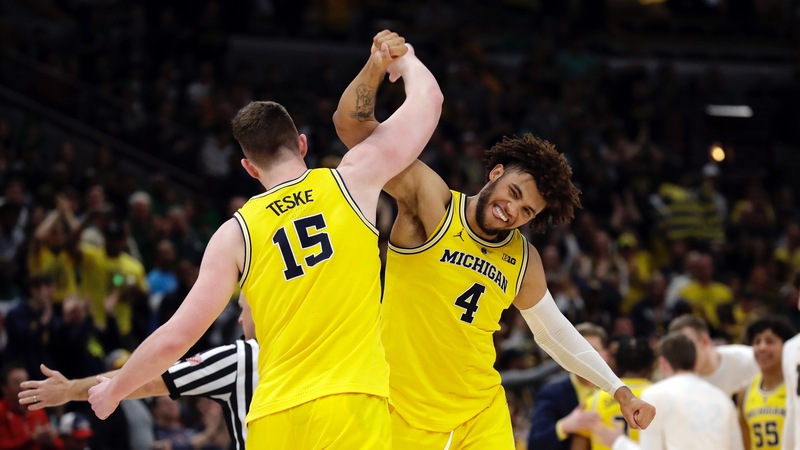 No -130__ Forget the Sweet 16, they may not [make it out of the first round](https://www.betchicago.com/ncaa-tournament-2019-betting-yale-lsu-total-thursday) without coach Will Wade. But if they do, Maryland and/or Belmont will be a tougher out than the Florida team the Tigers just lost to in the SEC tournament. __Will Michigan make the Sweet 16? Yes -240__ Gotta lay a steep price, but coach John Beilein's teams usually don't get upset. He's 17-8 in the tournament with the Wolverines, and they've only been upset twice -- 2012 in the first round against Ohio as a No. 4 seed, and 2014 in the regional final against Kentucky, which advanced to the championship game as an 8 seed. Montana, Nevada and Florida shouldn't scare you. __Wins for West Coast Conference teams, UNDER 3.5 (+110)__ OK, so it's just Gonzaga and Saint Mary's here. I don't see the Zags getting by Florida State in the Sweet 16, so that would mean the Gaels would have to upset No. 6 Villanova in the first round and then (likely) No. 3 Purdue. Not gonna happen. __Gonzaga UNDER 3.5 wins (-125)__ Just explained it, but might as well double up. Florida State [lost six ACC games](https://kenpom.com/team.php?team=Florida+St. ), and, to me, the Zags would've lost just as many if they played in a similar conference. ## Final Four picks No. 1 Duke over No. 2 Michigan No. 2 Tennessee over No. 1 North Carolina __Championship game:__ Duke over Tennessee Happy brackets, everyone. __PLAY:__ Our [BetChicago Bracket Challenge](https://betchicago.chalkline.com/games/betchicago-bracket-challenge) for the chance to win a BetChicago prize pack.